Lugarde Prima Fifth Avenue Duo Maxi XL Classic : The Lugarde Prima Fifth Avenue Duo Maxi XL Classic is a large spacious garden building offering a very attractive feature in the garden. 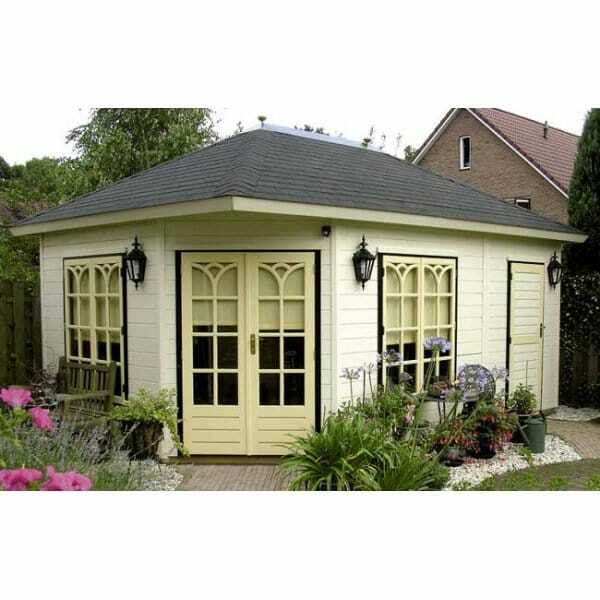 There are very many uses that this building can be put to including a garden office or sitting area and general leisure room. The Prima Fifth Avenue Duo Maxi XL Classic can also be presented in one room, ideal when a larger space is required. As an optional extra we can provide an adjoining door between the two rooms. As standard this building includes 2 Double Glazed casement windows (the windows open from the centre outwards), a double door which is also Double Glazed and a single solid door and is available from Simply Log Cabins.